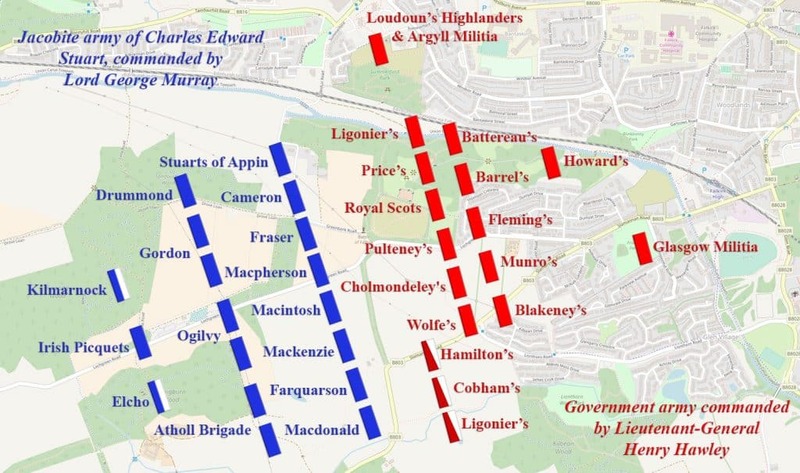 On 17th January 1746, the Jacobite army of Charles Edward Stuart clashed with Government forces commanded by Lieutenant-General Henry Hawley at the Battle of Falkirk Muir, in the largest military engagement of the 1745 Jacobite Rising. 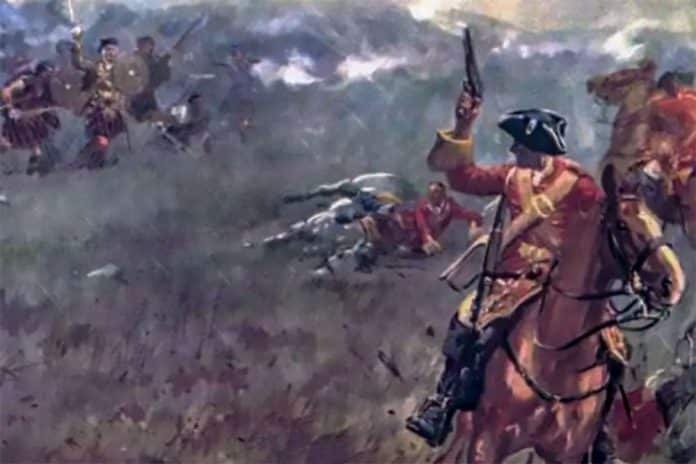 In a blinding sleet storm, the Jacobite right flank routs the Government dragoons, however, as the Jacobites surge forward a number of Government battalions stand their ground and counter-attack to halt the Jacobite advance. With the weather worsening and with daylight fading, the Government army withdraws from the field. The Jacobites, now scattered, are ordered to halt by the commander of the Jacobite forces in the field, Lord George Murray, who is unwilling to pursue. The lack of effective command and control prevents the Jacobites from winning a major victory. The Jacobites lost around 80 killed with the same number wounded. The Government army lost over 350 killed and wounded and over 300 captured. Among the Government casualties was Sir Robert Munro, 6th Baronet of Foulis, who is said to have died in hand-to-hand combat with six Cameron clansmen. A number of spectators from Falkirk that had come to watch the battle, including a group of churchmen, were caught up in the fighting and killed by the Jacobites. Hawley’s Government army was able to withdraw back to Edinburgh where they reorganised. The Duke of Cumberland would arrive in Edinburgh on 30th January to take command. The battlefield has been inventoried and is protected by Historic Environment Scotland under the Historic Environment (Amendment) Act 2011.